I was sorry to hear abut Roger Ebert's passing, added my condolences to the guest book. An excerpt about facing death from his interesting book "Life Itself" is comforting at this time. The Wizard of Oz is a perennial favorite, sentimental, inspiring, and cherished for its simple truths. Going a little deeper, others have uncovered themes in the story revealing a political allegory. What interests me is what happened after the movie ended, following the clues that the story was not going to end happily ever after. Just watched "Veducated" on Amazon Prime streaming video, which gently makes the case that a meat/dairy diet is unsustainable in light of the world's growing population, and cruel to animals. "Part sociological experiment and part adventure comedy, Vegucated follows three meat- and cheese-loving New Yorkers who agree to adopt a vegan diet for six weeks. Lured by tales of weight lost and health regained, they begin to uncover the hidden sides of animal agriculture that make them wonder whether solutions offered in films like Food, Inc. go far enough. This entertaining documentary showcases the rapid and at times comedic evolution of three people who discover they can change the world one bite at a time." 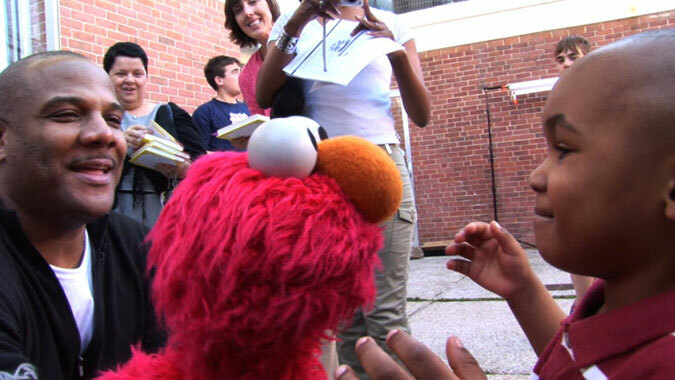 Enjoyed Terry Grosss interview with Kevin Clash about the documentary about his Being Elmo. Am looking forward to having an opportunity to see the film.